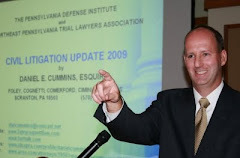 In the Lebanon County Court of Common Pleas case of Shearer v. Hafer, No. 2012-01286 (C.P. Leb. Co. March 17, 2015 Charles, J. ), Judge Bradford Charles ruled in favor of a defense discovery motion to compel a neuropsychological IME, with the parameters being that the Plaintiff's attorney would be allowed to be present during the preliminary interview phase by the doctor of the Plaintiff but not thereafter. The court ruled that once the standardized testing portion of the neuropsych IME began, no one other than the doctor and the Plaintiff would be allowed in the room and no recording device would be permitted in the room. The court also ruled that, once the IME was completed, the Plaintiff's attorney would be entitled to a copy of the standardized testing that was completed. UPDATE: This decision went up to the Superior Court and then to the Supreme Court of Pennsylvania. The Pennsylvania Supreme Court ruled that the Superior Court erred in considering the appeal in the first place as the trial court's order was not an appealable order as of right under Pa.R.A.P. 313 where the trial court's order only met one of the three prongs of the collateral order doctrine. To view this decision by the Pennsylvania Supreme Court, click HERE. The Concurring Opinion by Justice Wecht, and the Dissenting Opinion by Justice Mundy are not Linked here. 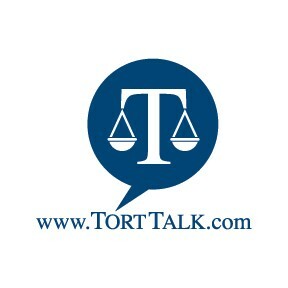 For other neuropsychological IME decisions summarized on Tort Talk, click HERE and HERE.